Child-friendly?Shrek Forever After is the fourth movie featuring the popular ogre known as Shrek. This time, Shrek goes through a bit of a mid-life crisis before having to fight to get his life with Fiona back to normal. Fans of the previous Shrek installments as well as anyone who is a fan of animated films that are relevant to both kids and adults will most likely enjoy this PG-rated film. It is recommended for kids aged 5 and up. 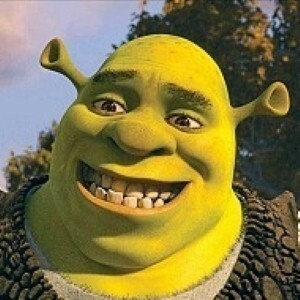 In Shrek Forever After, the domesticated ogre becomes a bit bored with his monotonous life of marriage, changing diapers, hanging out with his friends and not being a "wanted" and scary ogre anymore. After a meltdown at his triplet’s first birthday party, Shrek makes a deal with the mischievous magician Rumplestiltskin that allows him to have one day as if he never saved Fiona from the dragon. Soon after Shrek signs the contract, he realizes his mistake and learns that the only way to get back to his previous life is to share a kiss with his true love before the end of the day. Not so easy, considering Fiona is now the fearless leader of an underground ogre rebellion and has no idea who Shrek is. Along the way, he encounters his friend Donkey and tries to join the ogre rebellion to get closer to Fiona and reclaim his former life. All of the main characters are back in this Shrek movie, with Mike Myers as Shrek, Cameron Diaz as Fiona, Eddie Murphy as Donkey and Antonio Banderas as Puss in Boots. Some new voices, including Jane Lynch, Craig Robinson and Jon Hamm are also featured as members of the ogre rebellion. While Shrek does contain a bit of vulgarity and ogre humor as well as some violence, none is too graphic or inappropriate for kids. There are definitely some jokes and innuendo that only parents will understand as well. Overall, the message of the movie is to be thankful and appreciative of what you have, because you’ll miss it when it’s gone. In addition, parents can discuss the importance of fighting for what’s important to them to their kids after watching the movie together.